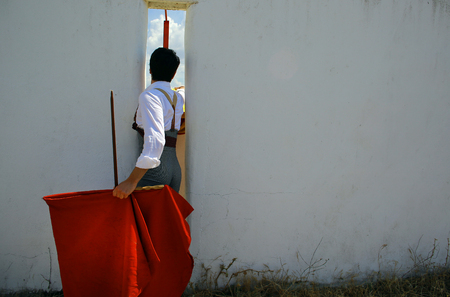 Toñete: Antonio Catalan, an 18 year old, who just started university classes, wants to be a Matador. Toñete has been training since he was 13. In another year, if he passes his final assessment, he will earn the title Matador. 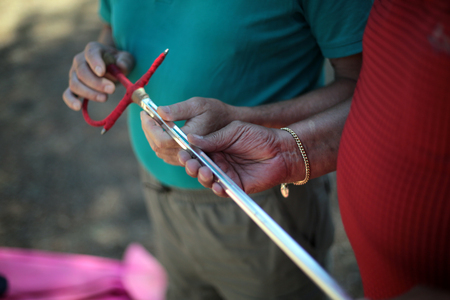 While bullfighters train in the woods outside Valladolid, onlookers inspect their tools. A tailor fits Toñete for a training outfit. Strict adherence to the traditional dress code is part of the training for a novice. 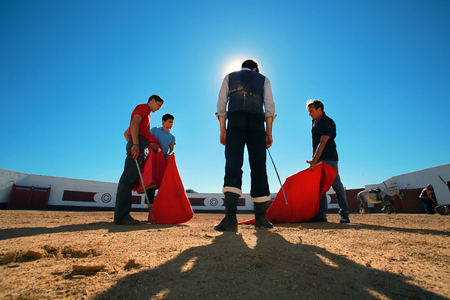 Three bullfighters head for a "tentadero", a training session with fighting cows. 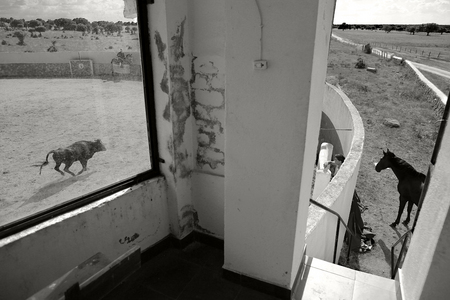 A training bullring in the countryside, where spirited fighting cows will be selected for breeding, after facing off with bullfighters. 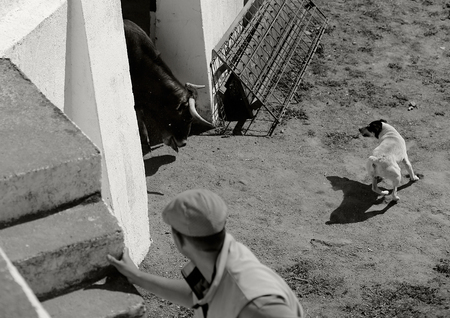 Toñete enters a bullring for a training session with fighting cows. A scene repeated, unchanged, throughout the history of Spain. Training on the traditional choreography and passes of the cape. 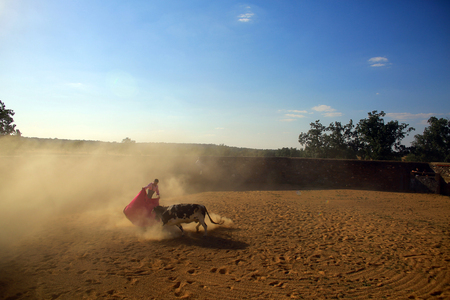 A bullfighter takes a break from training in the hot summer sun. A fighting cow commands attention at the breeder's ranch. 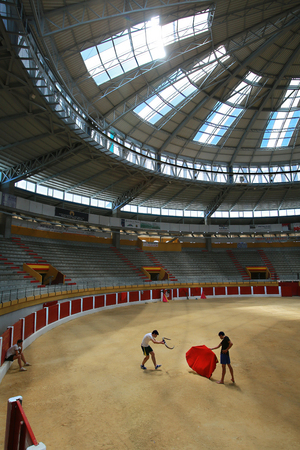 Training in a covered bullring, in the province of Valladolid. An afternoon of training at a breeder's ranch in Salamanca province. Breeders throughout Spain invite bullfighters to help select cows with a fighting spirit. Madonnas, matadors, and math homework. 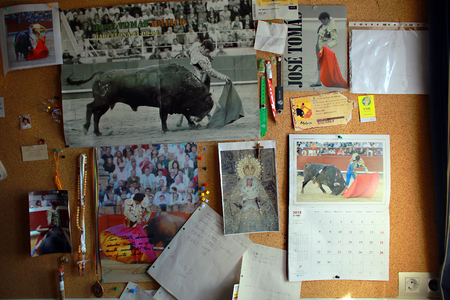 Toñetes bulletin board at his home in Madrid. 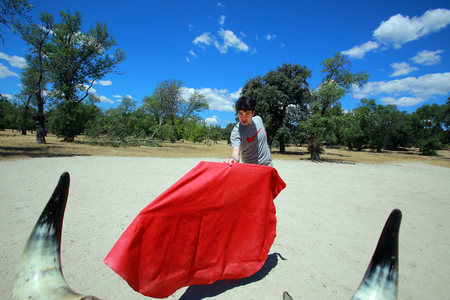 Enrique Ponce, one of Spain's premier matadors, lets Toñete use his ranch in Jaen to rest and prepare for an upcoming bullfight. Enrique Ponce, one of Spain's top matadors. 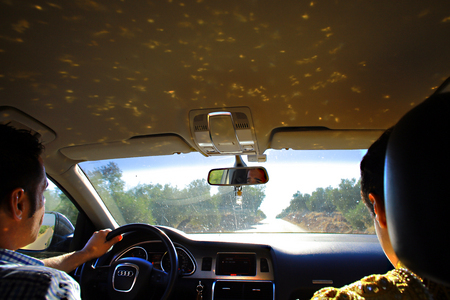 The bullfighter's Suit of Lights, driving through olive groves of Jaen, on the way to a bullfight. 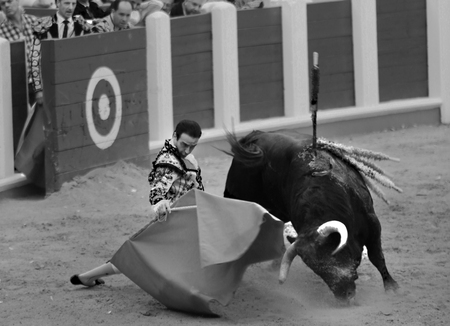 Toñete is a "novillero", a bullfighter that fights novillos, 1-2 year old bulls. .... and traveling on the roads of Spain, from town to town. Sun, sand and sweat in Higuera de las Dueñas. The whole town turns out for the bullfight. After his kill, a bullfighter parades around the arena, tossing a hat to a lady in the audience. After the final sword thrust, the bull goes down. 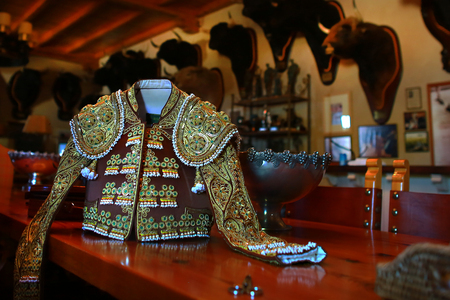 The bullfighter acknowledges his fighting spirit. The last sunset for this bull. Soaking up the applause and approval of the audience. ...and Toñete ends his day with a party at the local tavern. ...a young man on his way to work. In this large venue, thousands of people come to see the young bullfighters. The show starts with a parade of fine horses. ....preparing to face the bull..
Showtime in the historic bullring of Salamanca. Tonight is a big night for the young bullfighters. ....with some obligatory, crowd pleasing bravado. 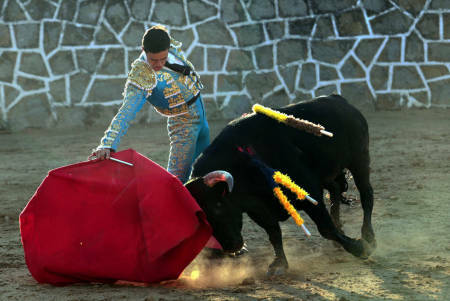 The final minutes of this bull's life, starts with the flourishes of a cape. The pressure is on tonight to perform well in Salamanca. No need for a mercy killing tonight. 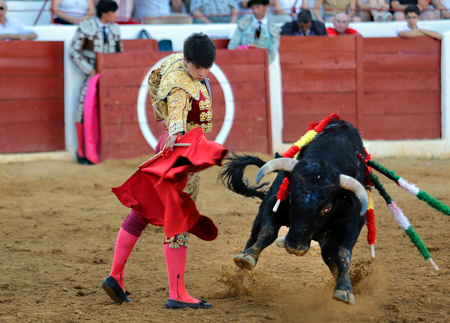 The bullfighter acknowledges the jury's decision. 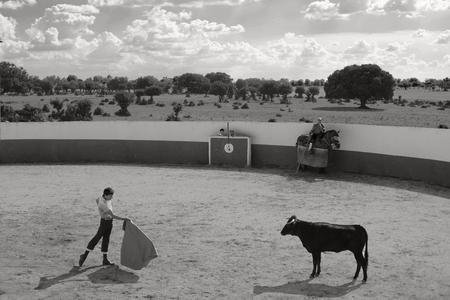 In the countryside of Spain, young men still dream of becoming a famous Matador.